Bees (and wasps) are trouble. Big ones, little ones, bumble bees, yellow jackets, honey bees. They’re all the send-me-to-the-emergency-room-if-they-sting-me kind of trouble. But who is there that doesn’t have some kind of trouble? Becoming a Christian doesn’t give us a get-out-of-jail-free card and exempt us from all difficulties in life. We can expect trouble. 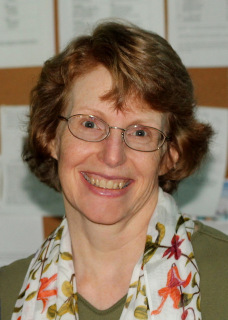 What happens when (not if) troubles come into our lives? Does God just give us a quick pat on the head, saying, “Yeah, life is tough . . . See ya later?” No, Jesus cares about the condition of our heart, and He wants to give us His peace in place of fear. God is there in the middle of our difficulties to strengthen and help us. It’s hard to see how anything good can come out of our troubles, but this verse in 2 Corinthians give us a clue. The comfort that God extends to us is multiplied as we share that comfort with others going through their own difficult times. We see how this multiplying works with the sunflower. 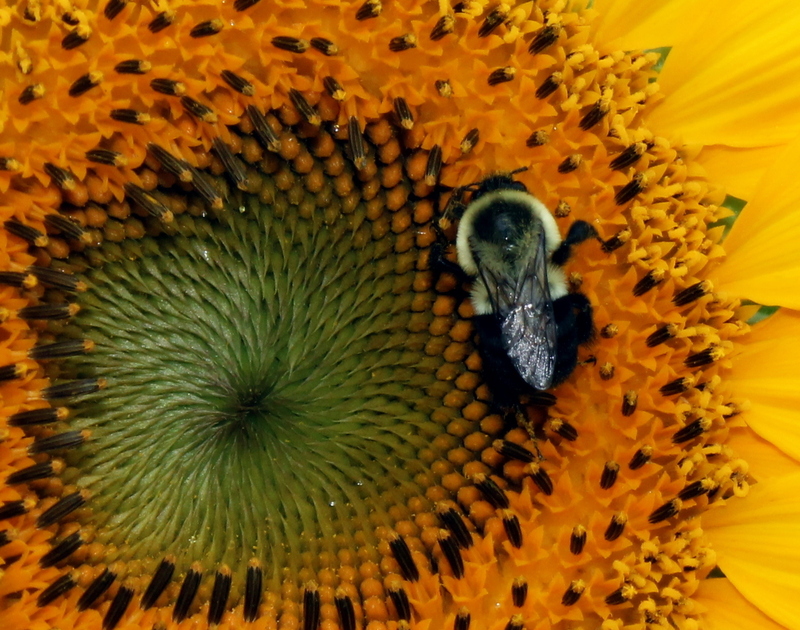 One sunflower, grown from one seed, visited and pollinated by troublesome (to me) bees can produce hundreds of seeds, and those hundreds of plants could produce thousands of seeds. As I drove down rural roads last June, my three-year-old grandson and I played a game to pass the time and practice identifying colors and shapes. I would tell him what I saw, and he would look for it. 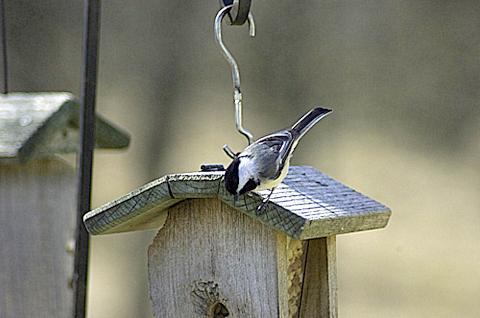 “Chickadee,” said my grandson, thinking he was repeating what I’d said. He was familiar with “chickadee,” so that was the word he heard. New is hard. It takes a while to twist our tongue around a new word or to open the door a crack to a new idea. When the apostle Paul was on the road to Damascus, he saw a bright light and heard a voice saying, “I am Jesus of Nazareth, whom you are persecuting.” I might have answered, “So, God, I keep persecuting the Christians, right?” but Paul answered, “What shall I do, Lord?” Paul was willing to hear something new. Perhaps none of us will see a blinding light, and few will be asked to take the gospel to far-away nations, but all of us may be asked to speak to someone we don’t know, think about a Bible verse in a different way, or consider a new ministry. Be alert, be present. I’m about to do something brand-new. It’s bursting out! So if you sense God is talking to you, take your fingers out of your ears, and be ready to hear something new. 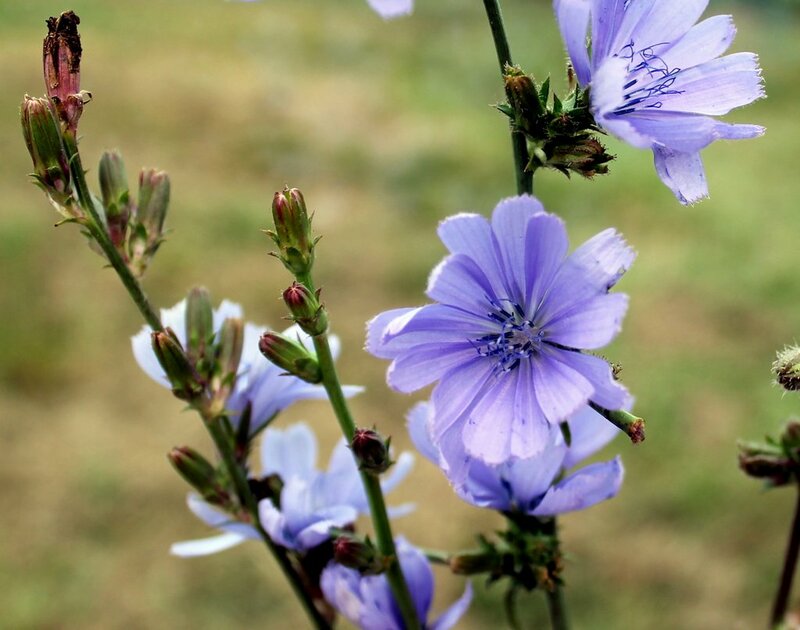 Chickory! Sound implausible? The color yellow was so identified with the Chinese imperial family (a symbol of their “celestial nature”), that only they could wear it. Even the roofs of nearly all the buildings in the imperial palace complex were constructed of yellow, glazed tiles. 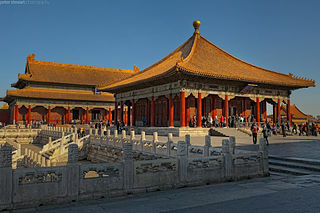 This complex of religious, political, and residential buildings, called the Forbidden City, is surrounded by a 26′ high wall and a 20′ deep moat. Commoners and royalty were forbidden to enter without permission of the Emperor. Thankfully, there are no walls or moats between us and God. We have access to him because of Jesus’ self-sacrifice on the cross. By entering through faith into what God has always wanted to do for us—set us right with him, make us fit for him—we have it all together with God because of our Master Jesus. And that’s not all: We throw open our doors to God and discover at the same moment that he has already thrown open his door to us. We can return to the metaphor of God as sun and believers as sunflowers in the next verse in Romans 5. Now that we have access to God, we can be in His presence and worship Him. We find ourselves standing where we always hoped we might stand—out in the wide open spaces of God’s grace and glory, standing tall and shouting our praise. Whenever, though, they turn to face God as Moses did, God removes the veil and there they are—face-to-face! . . .Nothing between us and God, our faces shining with the brightness of his face. And so we are transfigured much like the Messiah, our lives gradually becoming brighter and more beautiful as God enters our lives and we become like him. 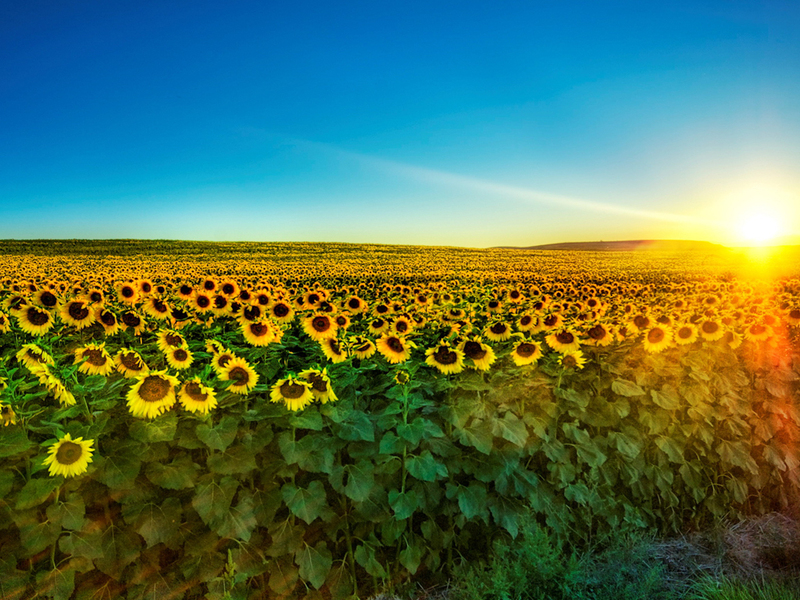 If we are like sunflowers facing the east, toward God, we are becoming “brighter and more beautiful” because He is not only sharing his presence with us, but his “celestial nature.” The restrictions of imperial China are long gone. 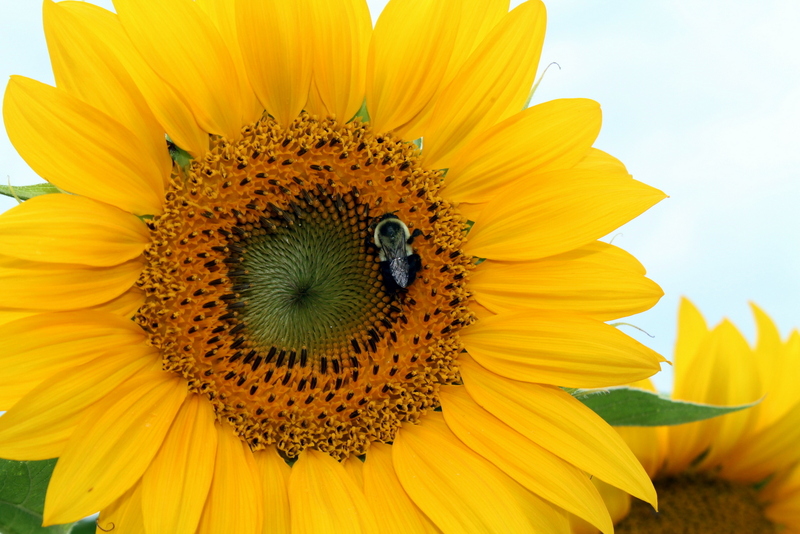 We common sunflowers are allowed to wear yellow, but our color is a gift of the sun (not a sweater we buy in a store). 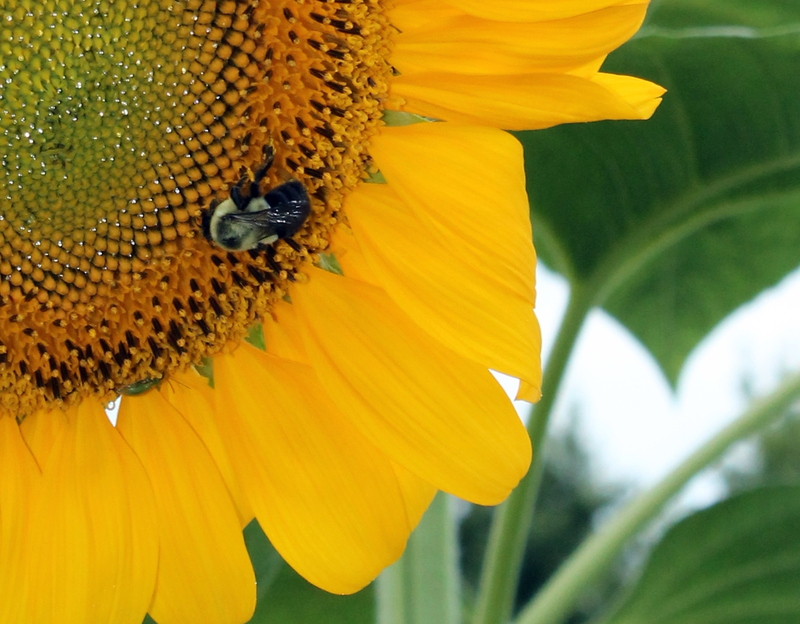 When the sun shines on a sunflower, the flower absorbs all the other color wavelengths (think rainbow) and reflects yellow. So we see golden, yellow flowers. so we might reflect his glory. The Lord delights in seeing us become more like Him and therefore a better version of ourselves–a more wonderful sunflower. 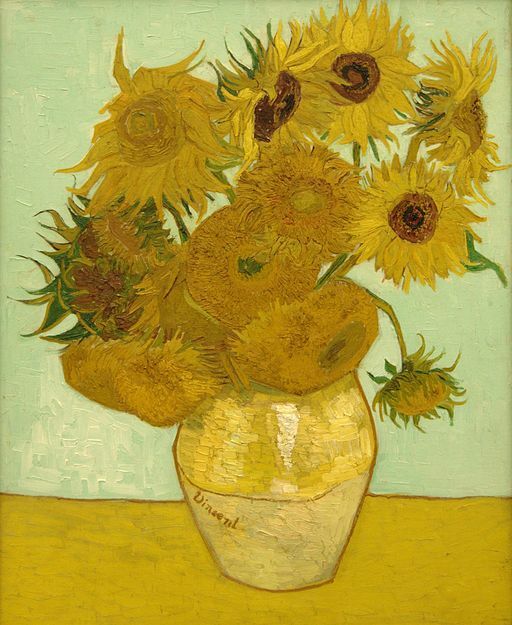 The ancient Aztecs and Incas used sunflowers in ceremonies honoring their sun-god–a natural connection, since the color and shape of the flower echoes the sun. 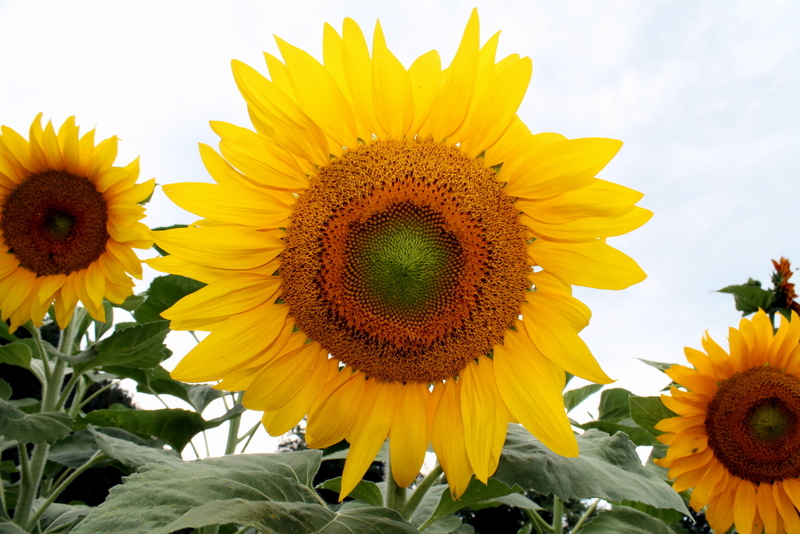 By the time the sunflower matures and is in full bloom, the flowers permanently face east. This video (from Indiana University, Department of Biology) shows a young sunflower plant tracking the sun over a 24-hour period. The dance of the sunflowers and the sun is a wonderful (full of wonder) picture of the relationship between believer and God. Sunflowers, like any plant, need the sun to survive. This is the process of photosynthesis where light energy is converted into chemical energy that the plant can use. 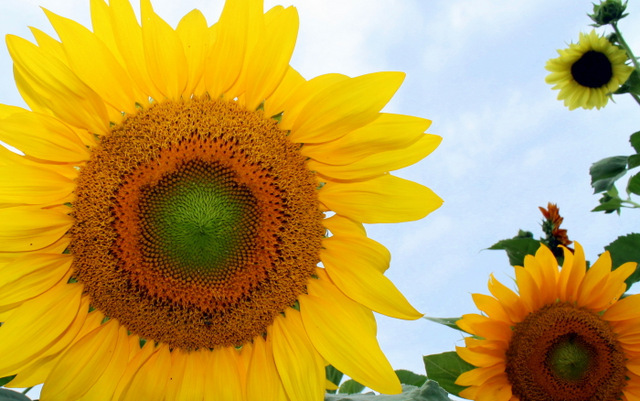 We “sunflowers” turn our faces toward the Lord.